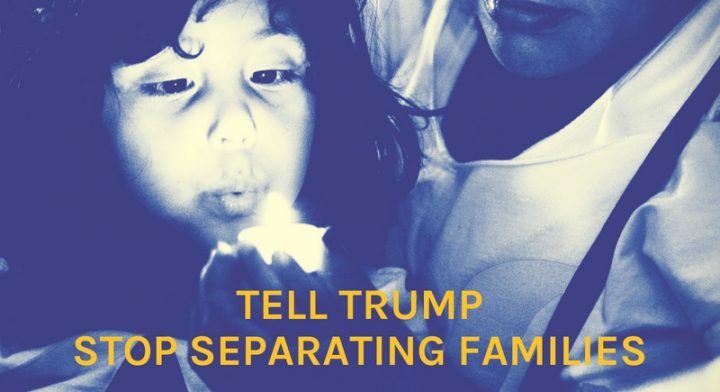 On 26 May, news broke out of the US on the Trump Administration’s unprecedented “zero tolerance” policy, inhumanely detaining and separating immigrant children from their parents at the US border, sparking a wave of protests in at least 30 cities across the North American continent. International protests and petitions quickly followed suit. Groups in Madrid, Barcelona, Milan and Lyon are taking swift action in solidarity with this movement. Spain was home to the first protests with overseas American citizens, holding two demonstrations on 27 May and 1 June in Plaça Catalunya, Barcelona. This action triggered a wave of international support and petitions, with concerned US citizens in UK (DA-UK Global Women’s Caucus), Italy (Women’s March Milan + DA-Italy), France (DA-Lyon+Bordeaux+Toulouse), across Europe, and beyond. –Seminar: The US War on Immigrants. Prof. John Palmer. Free event, RSVP recommended. Barcelona, Pompeu Fabra University. 13 June. (15:00-16hr). –Day of protests in solidarity with all 50 United States. Barcelona, Plaça Catalunya. 14 June. –Protest at US Embassy organized by Eric Stevenson with Madrid Resistance. Madrid, US Embassy. 19 June (19:30).